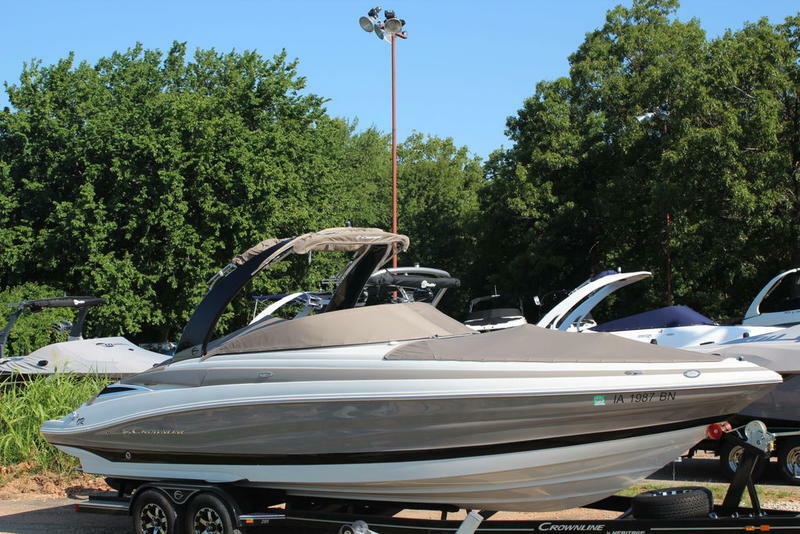 One of Crownline’s most popular boats, the 285 SS is a large runabout that is sleek, stylish and sporty while also being comfortable, roomy and packed with smart, luxurious features. 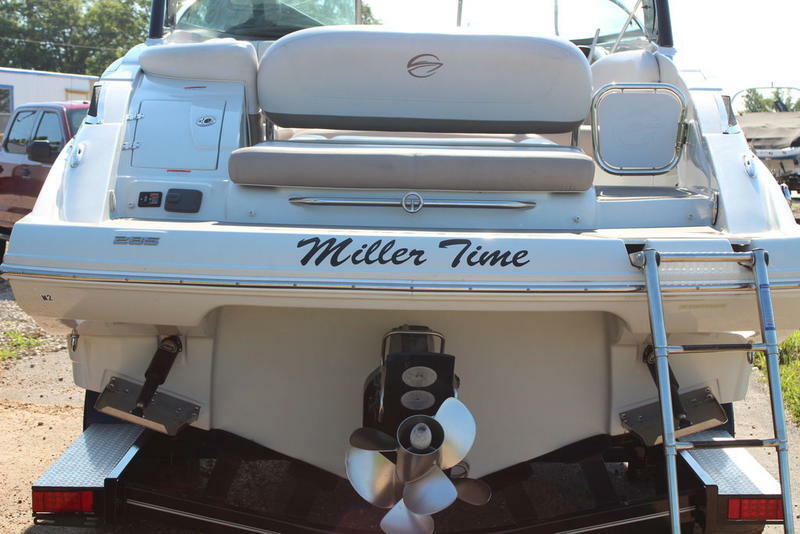 It’s a perfect boat for day trip cruising, picnics with the family or exciting afternoons spent wakeboarding or waterskiing. 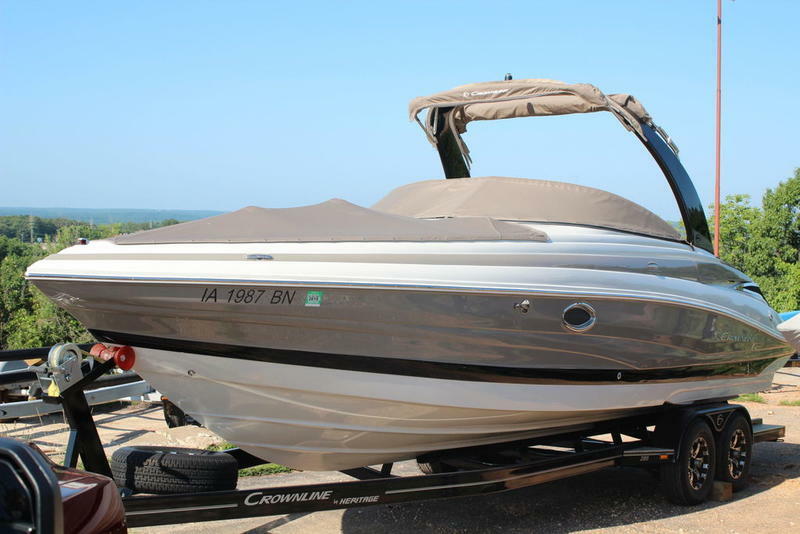 Whether you’re drawn to this Crownline because of the long list of standard features or just the presence it has on the water, this is just the ride you need to make those memories that really last. 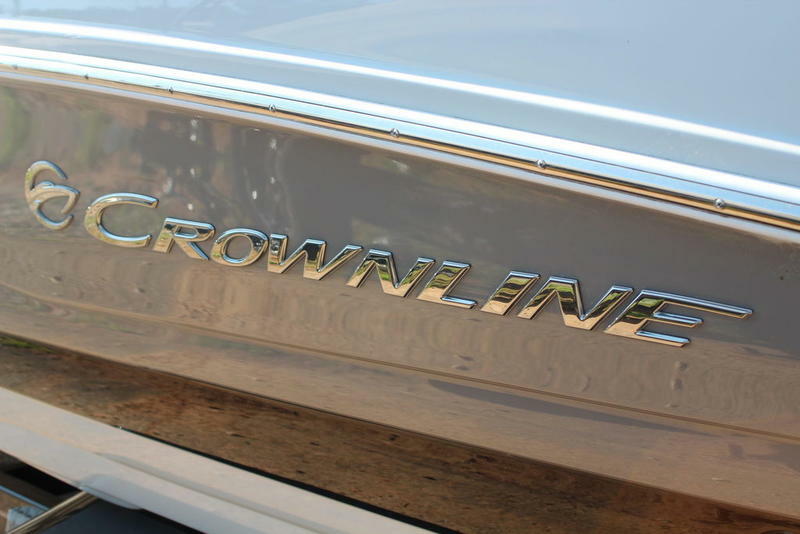 Stainless steel windshield header, grab handles, cup holders and more keep the Crownline 285 SS feeling crisp, clean and sophisticated. 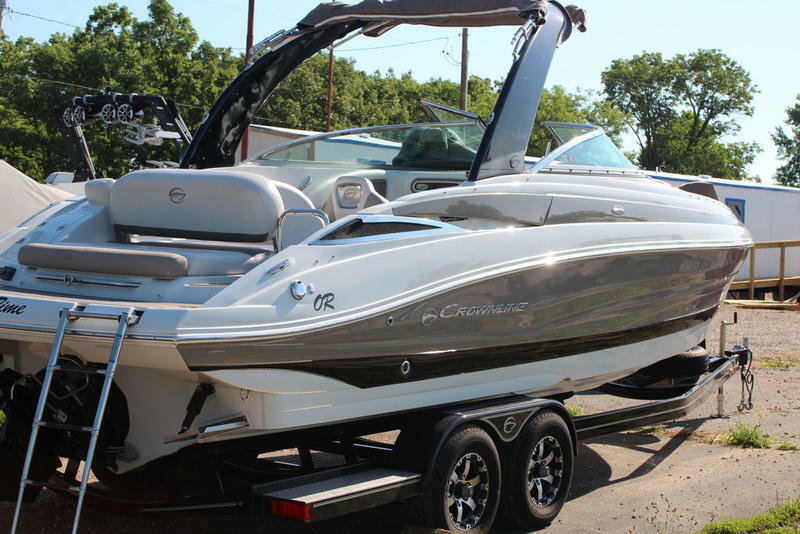 Cruising, tubing, skiing or just taking a day out on the water, this Crownline boat will get you there. 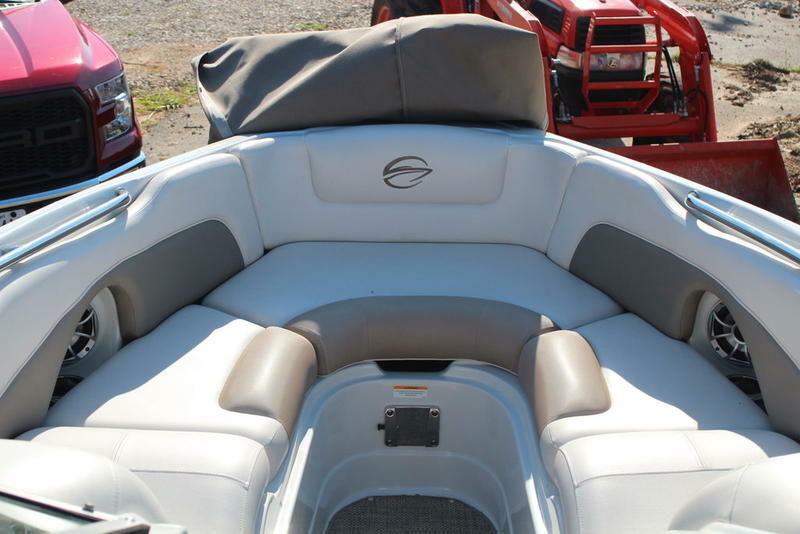 This super sport features a spacious layout that is ideal for relaxing and socializing. 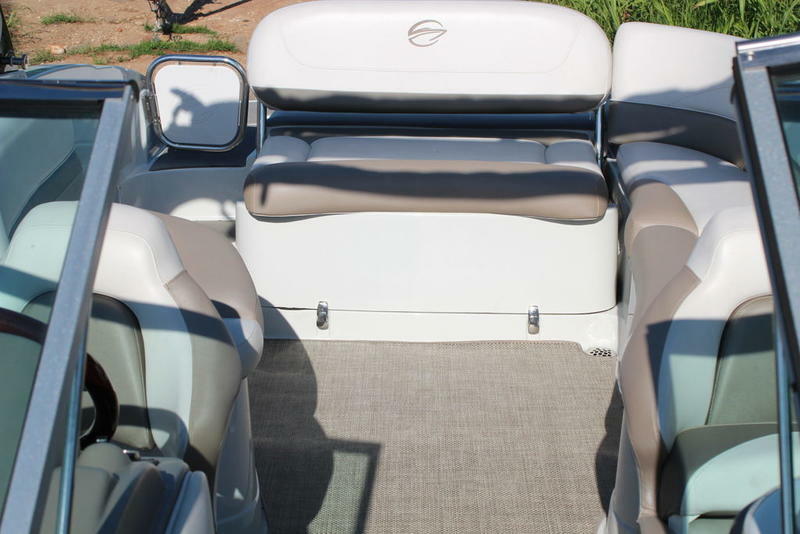 The cockpit’s J-shape seating design has a spacious and comfortable electric sun lounge seat (with dual actuator) that can be used to create a large sun pad, perfect on a sunny afternoon. 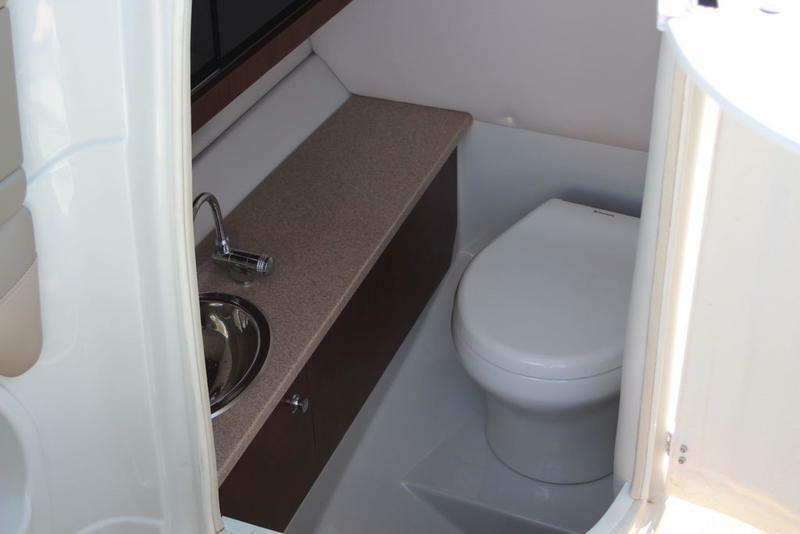 The cockpit also features tons of storage and a large head compartment with a sink, cabinet, electric flush toilet and stowage on the door. 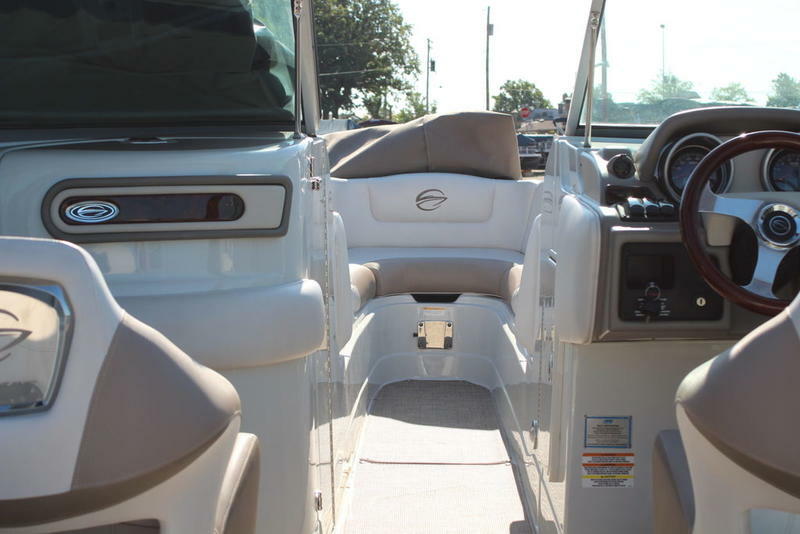 The 285 SS has a large swim platform, with a convenient hand held transom shower. 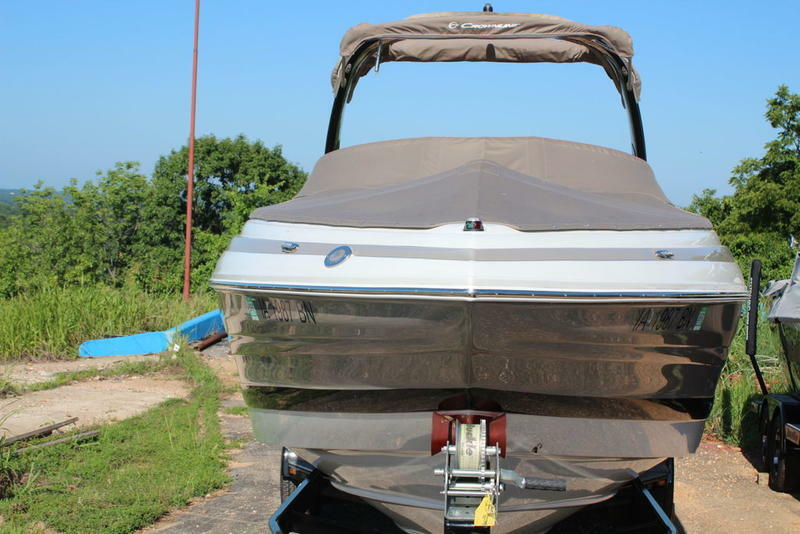 A four-step, telescoping starboard swim ladder makes it easy and safe to get onboard. 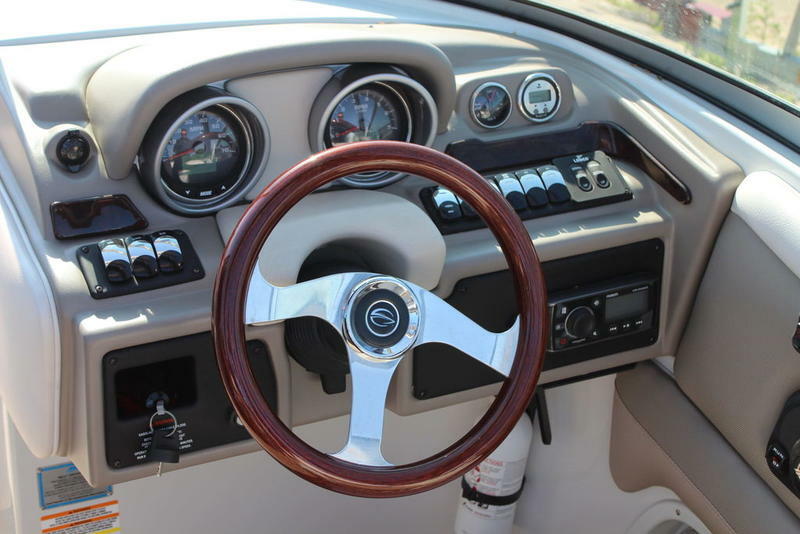 And thanks to Crownline’s F.A.S.T. 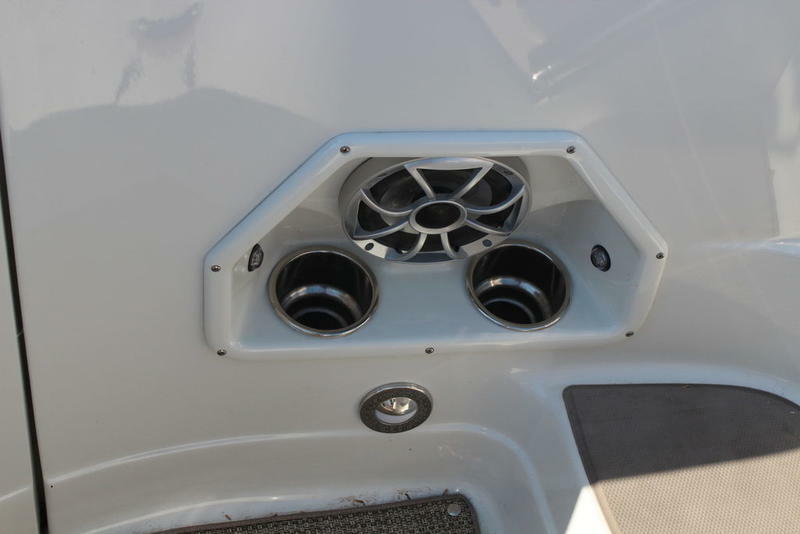 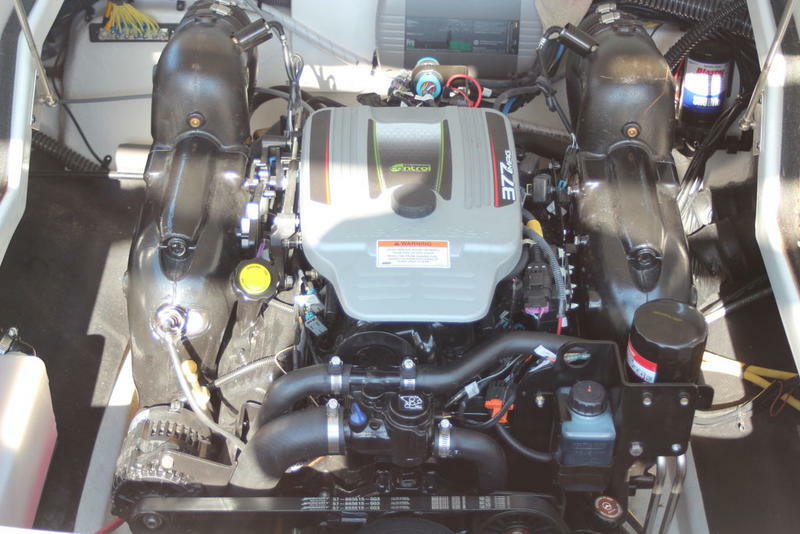 Tab hull design, boaters will enjoy exceptional performance. 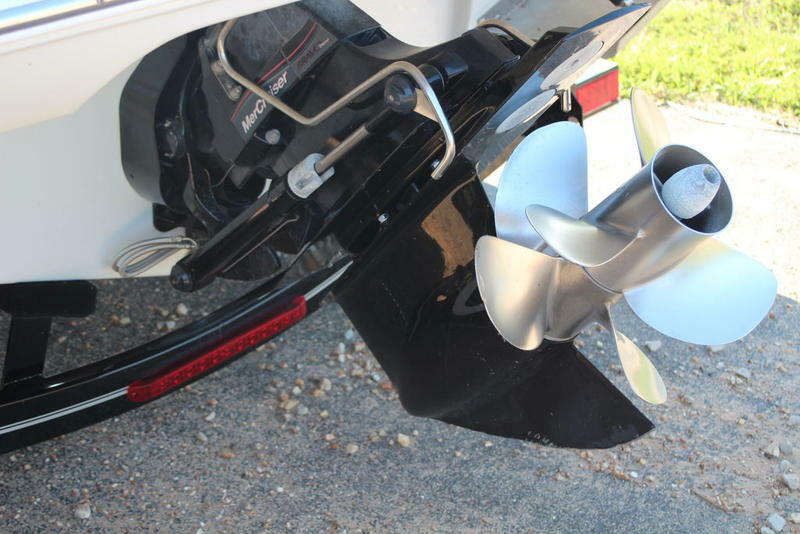 Comes with Trailer.